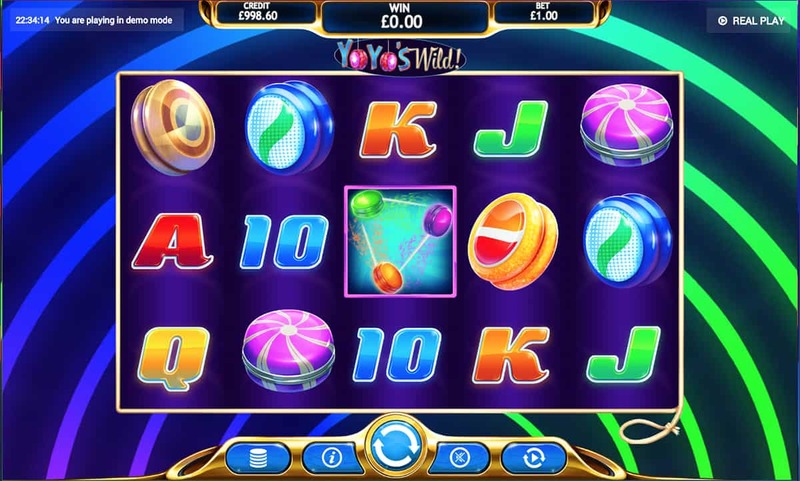 If nostalgia is what we want on the reels then Eyecon is more than delivering with Yo Yo’s Wild Slot No, not another slot with fruit machine symbols, it’s one based entirely on yoyos! The original Christmas gift, the toy that only a select few could do tricks on, the toy that adults will still pick up and try to have a go pretending they’ve got the skills to pay the bills. Yes, the one and only yoyo has come to life on the reels, bringing childhood joys alive. And with multipliers rolled in amongst super smooth graphics and an excellent soundtrack, Yo Yo’s Wild has all the makings of a classic. 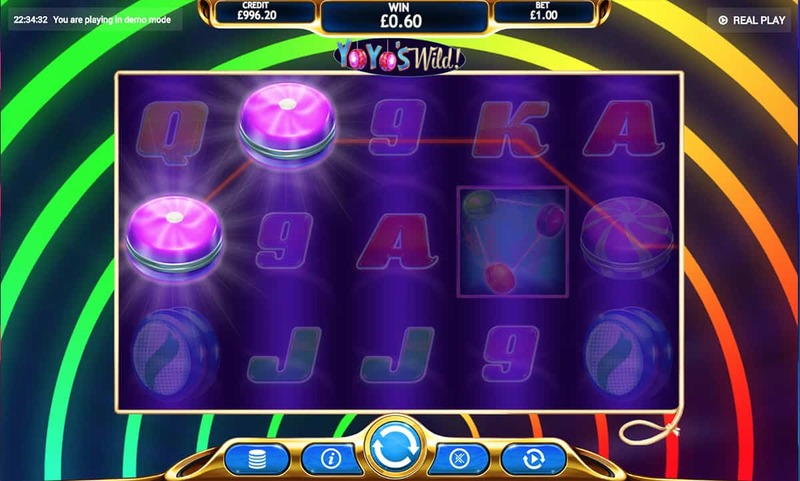 If you didn’t like yo yos before, you definitely will after playing this Eyecon slot. And we’re not just saying that because of the hypnotic neon lights that almost lure us straight towards the reels (okay, we are partly saying that). 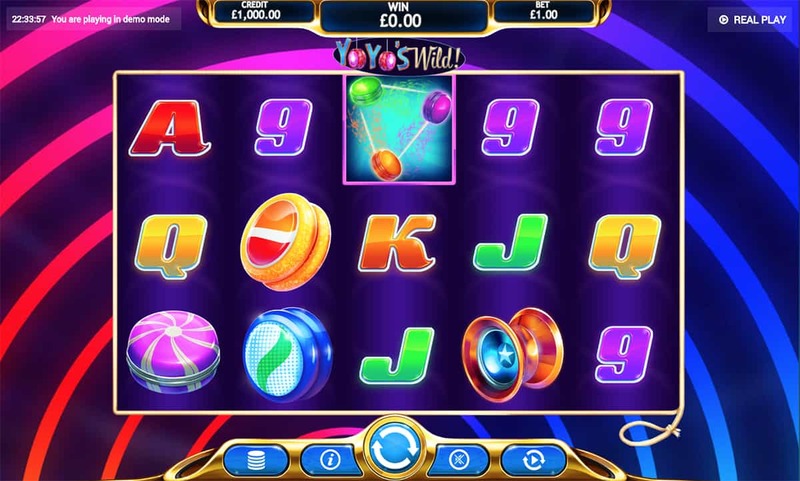 It’s a super bright slot to say the least, with the card values appearing in shiny purple, red, green, orange and yellow colours while an assortment of yo yos make up the higher paying symbols. With each spin of the reel, instead of seeing the traditional spinning action, we see five yoyos appear above each reel and descend to the bottom. As they bounce back up, just like a traditional yoyo, the new symbol formation is revealed. Literally everything is yoyo based. When the bonus features come in to play, the graphics of Yo Yo’s Wild really come into their own, as we get to see a showcase of yoyo trickery we haven’t seen since the cool kid at school brought his yoyo in for show and tell. Yo Yo’s Wild plays heavily on the Wild part of the game, featuring five Wild symbols. While they act as the high paying symbols, they do have a dual purpose as the Wild and give us an entertaining yo yo show during the free spins. When we land three Scatters, we bag two Respins, which might not sound like much. Okay, it’s not that much, but we do also have five to eight Wilds then in play. The slot then will then use the Wilds to form some of the best-loved yoyo moves. For instance, the L shape of Wilds in a winning combination transforms into the Walk the Dog move, while Around the World is a circle of Wilds. We get a nifty animation, see the trick on screen and what’s more rewarding than seeing a successful yoyo trick? The multiplier added to our bet, that’s what. You don’t have to be a yoyo enthusiast to enjoy Yo Yo’s Wild, but it definitely helps. This Eyecon slot brings back all the memories of childhood in slot form. 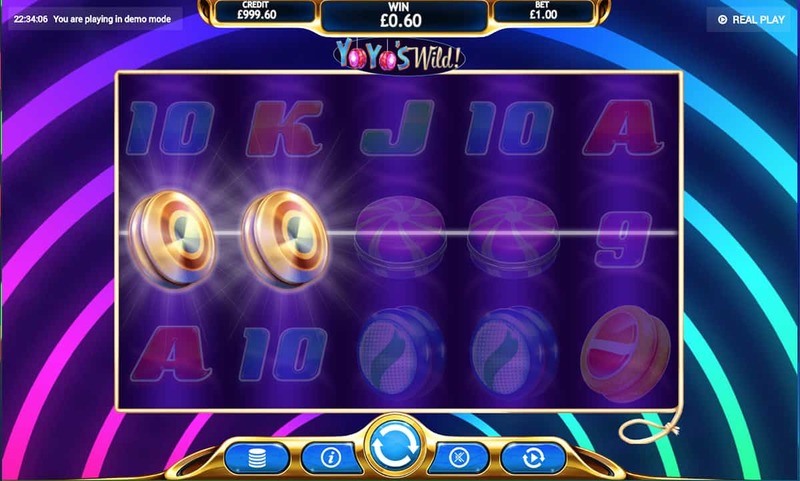 However, even if you’ve never touched a yoyo in your life but want to try out a unique slot playing experience, then Yo Yo’s Wild also ticks those boxes. But come on, who doesn’t love yoyos?